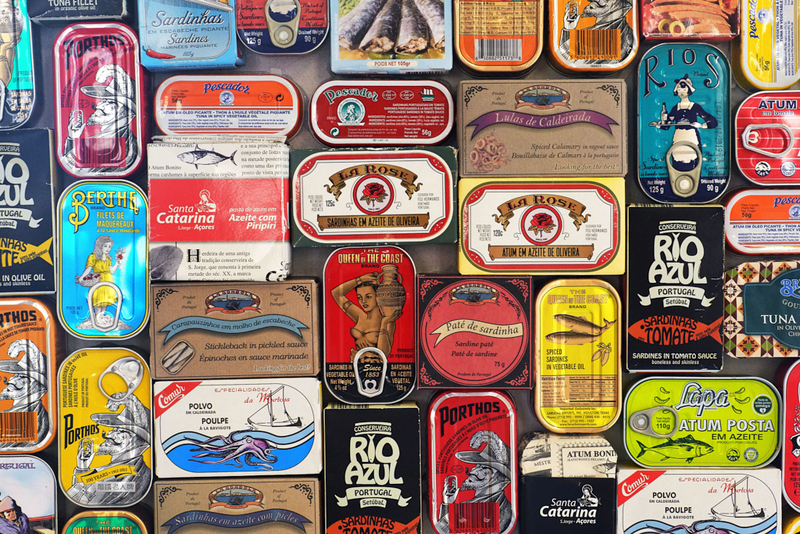 Since the mid-1800’s canned fish — or conservas de peixe — has been an intrinsic part of Portuguese cuisine and culture, and no trip to Portugal is complete without opening up a tin or two. With an extraordinary coast, a tradition of fishing and an unparalleled quantity and quality of fish, it’s not surprising that tins of fish have graced the shelves of stores and the cupboards of homes in Portugal for more than a century. Sardines account for nearly one-third of all canned fish; the remainder includes mackerel, tuna, codfish, eel, octopus and mussels. Prepared in olive oil, spiced with piri piri peppers, in tomato sauce, or smoked, canned fish is not only affordable, it’s extremely healthy – high in Omega 3, protein and calcium. 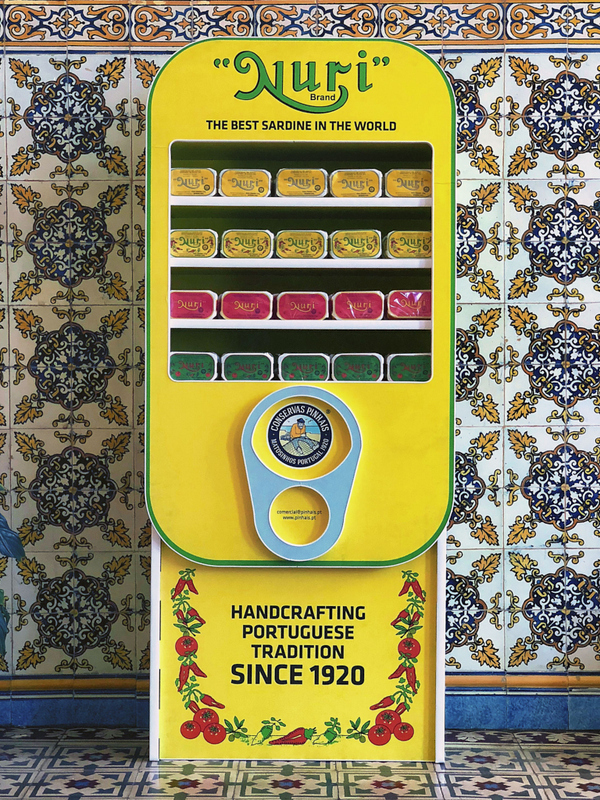 Although the popularity and quality of conservas de peixe have waxed and waned over the decades, today there is a resurgence of a canned fish culture and a renewed pride in this venerable Portuguese staple. Today’s conservas de peixe have gone upscale, artisanal and gourmet. 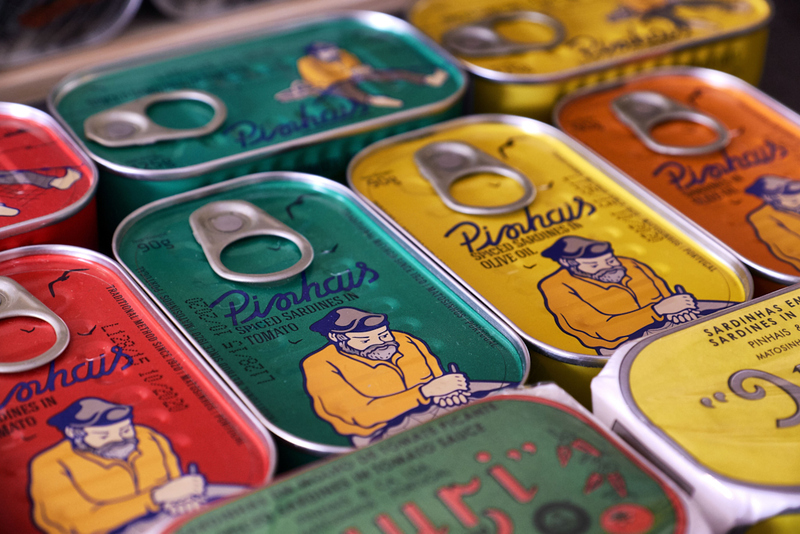 To understand the “art” of what goes in the can, I visited the Pinhais cannery in Matosinhos, a quick taxi ride from Porto. On the cusp of their 100th anniversary it is immediately palpable as I enter the cannery how little has changed in the intervening years. 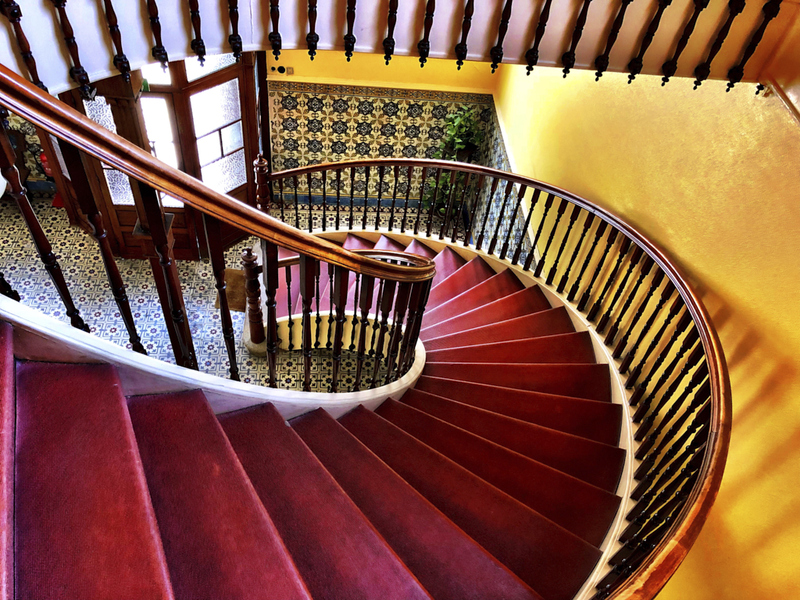 The exquisite wood spiral staircase leads up from the front door to the company offices, original dark wood trim abounds and even the original safe is still there. The cannery itself is on the first floor and as I go through the door I am immediately transported back in time. There are rows and rows of marble tables for preparing the fish and the ovens are large, unassuming and original. Now as then, the freshly caught fish are delivered promptly at 7:00 each morning in season when the mostly (and traditionally) “ladies” immediately begin sorting the fish by hand, knowing simply by touch which are good and which are not. 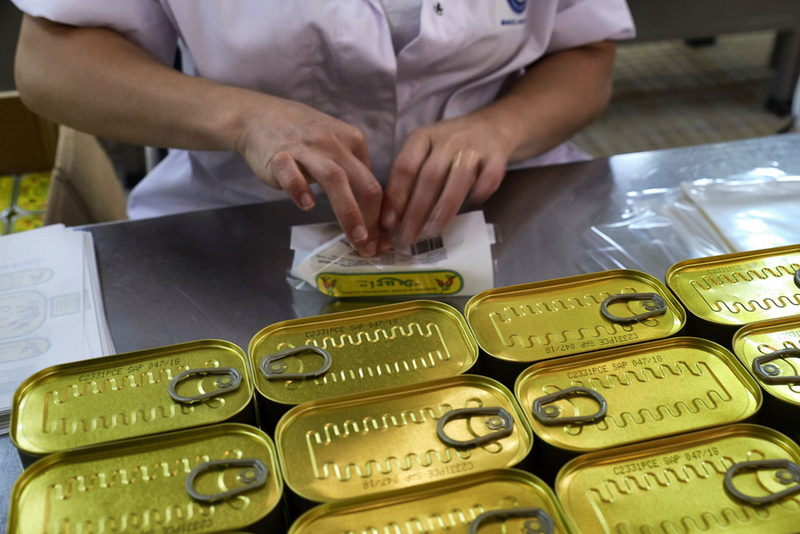 Upwards of 90 percent of their process is still done by hand — from selecting, preparing and cooking the fish to individually canning and wrapping the tins. Once I knew how the fish got in the can, it was time for a taste test. While most restaurants in Lisbon offer at least one dish based on conservas de peixe — including straight up in the can — I wanted to see what this Portuguese cultural icon became in the hands of 1-star Michelin chef Miguel Laffan, Creative Chef at Can the Can and his colleague at the restaurant, Executive Chef Luis Barradas. 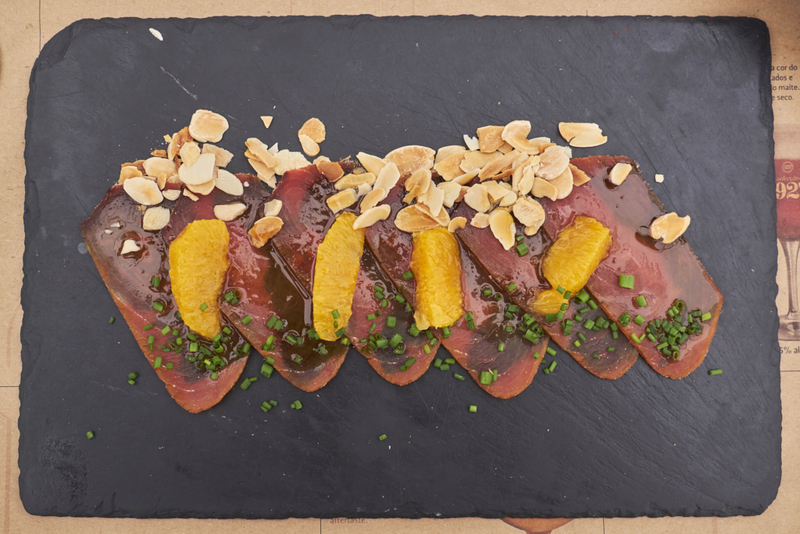 Located in the heart of Lisbon on the Praça do Comércio adjacent to the Tagus River, the menu takes conservas de peixe to an entirely new level — creative, innovative, unbelievably delicious — yet always honoring Portuguese culinary tradition. Chef Barradas told me his “…goal is to cook with conservas but make them taste like the fresh dishes you grew up with…”, a goal he not only meets, but exceeds. My multi-course meal consisted of one amazing taste after another — tuna muxama served with orange wedges, almonds and amaranth sprouts; cod, Portuguese bras style; lemon marinated mackerel over sweet potato, almonds and tomato confit; and smoked eels baskets with red hummus, confit onion and citrus — and about as far away from my pre-conceived notion of canned fish as possible. 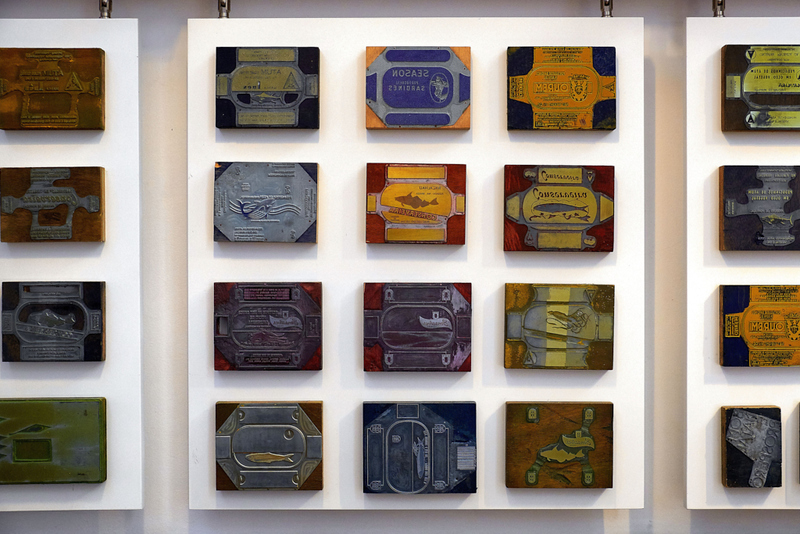 Cans, literally, define the restaurant’s ambiance too, with the original vintage printing plates for tin labels lining the walls, and a one-of-a-kind chandelier made from over 3,000 sardine tins hanging from the ceiling. Victor Vincente, owner of Can the Can owner believes “Food should feed all five senses — sight, hearing, taste, smell and touch.” A meal here not only feeds all five sense, it delights them. Conservas de peixe also makes the perfect gift or souvenir, not only for what’s inside, but for the “art” of the can itself. 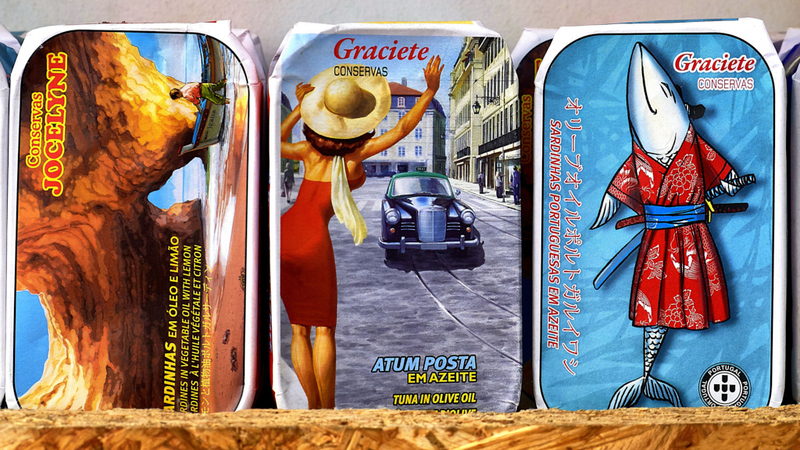 Portuguese fish tins can be found adorned in vintage, traditional and contemporary artwork. Go traditional at Conserveira de Lisboa. Opened in 1930, the small shop still sports the original wood shelving and leaded glass doors. Their Trincana, Prato do Mar and Minor house brands labels are a nod to tradition and they graciously wrap your purchase in brown paper tied with old-fashioned green and white twine. 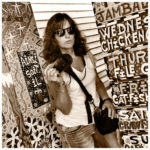 Comur – O Mundo Fantastico das Conservas stores are the place if you are looking for a modern twist on the can. Forgoing paper labels for intricate and boldly colored designs imprinted directly on the tins, you can make your selection based on what’s in – or on – the can. 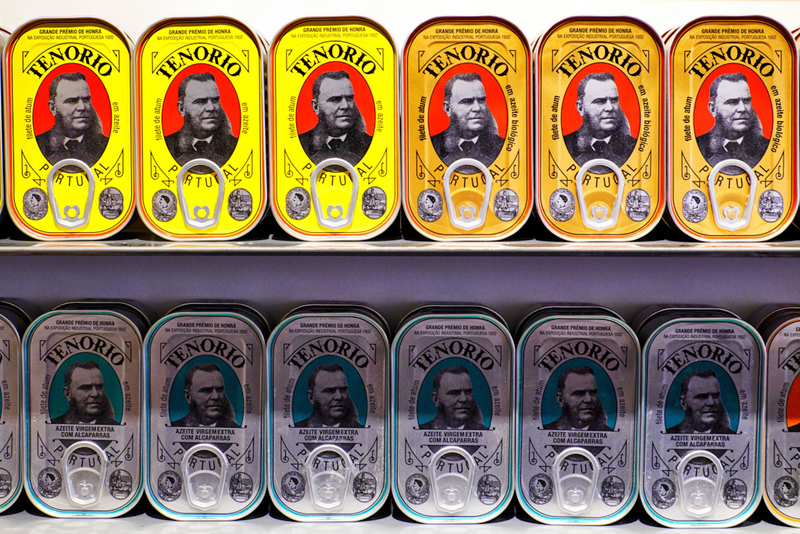 They offer sardines in cans emblazoned with every year since 1916 (including a fact or famous birth from the year); “color-coded” cans for different fish; and when I was there they even offered a celebratory 75th anniversary gold can. For one-stop shopping go to one of the The National Association of the Fish Canning Industry three locations in Lisbon. Each store showcases the wide array of canned fish from all of the country’s producers, and their adjacent restaurants allow you an opportunity to try before you buy. It’s a deliciously colorful shopping diversion. Post Script: One cannot live by conservas de peixe alone. And, just like the history of Portugal can be absorbed through a sampling of conservas de peixe, so can it be experienced through a sampling of port, as much a part of the country’s history and culture as tinned fish. The vineyards lay in the Douro Valley, but the cellars where the port is aged can be found in Vila de Nova Gaia, directly across the Duro river from Porto – a short walk over the Don Luis bridge (try both levels – it’s amazing how different the view is from each). There, famous after infamous port houses line the promenade. 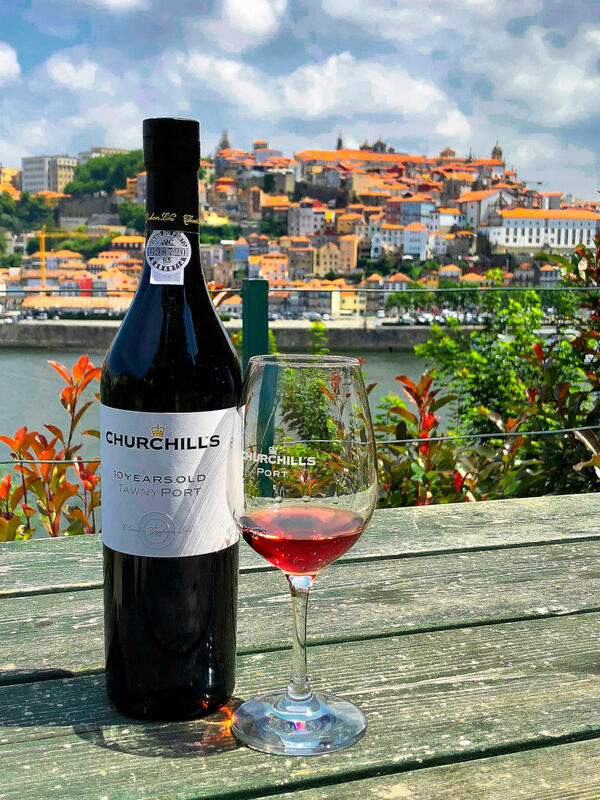 Stroll from Sandman, the 800-pound gorilla of port houses, to Ferreira, which has been in Portuguese hands since 1751 to my choice, Churchills, the newest of the houses. Off the beaten path past all the others and up a relatively steep hill, it was well worth the journey. A new house by port standards — less than 40 years old – it is elegant and intimate. The staff is warm and welcoming and their port reflects the best of traditional port making created for today’s tastes. The result are ports that can best be described as classy, modern, relaxed and fun to drink. One of the other things that sets this port house apart is that after being carefully hand-selected, their grapes are crushed and vinified in“lagares” (traditional open granite fermentation tanks) and then, in time honored tradition, foot-trodden to ensure fresh, natural grape aromas and flavors — clearly reminiscent of the famous classic “I Love Lucy” episode — because according to the company, that is “still the most effective way of producing Vintage Port”. I enjoyed tasting white, tawny and ruby ports from their beautiful garden high above the Douro river and learned that port can be a perfect aperitif (try a dry white port before dinner), an accompaniment to dinner, or the ideal companion to a perfect bite of chocolate for dessert. 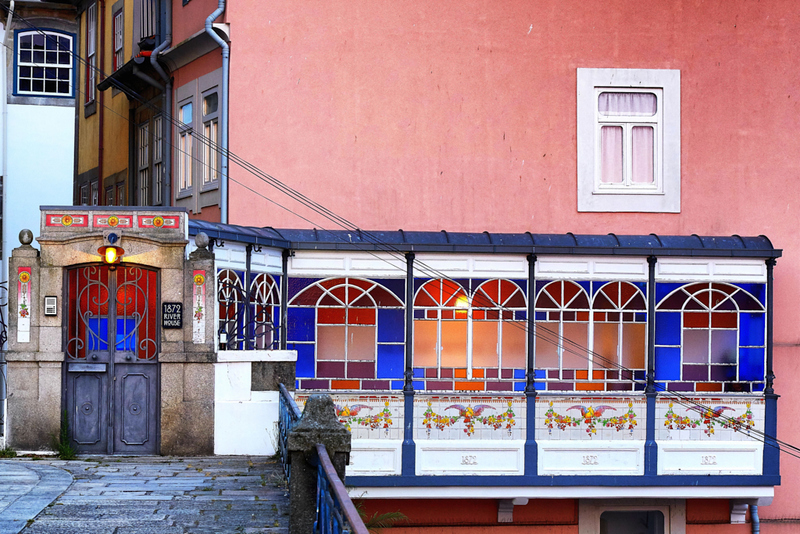 When you’ve had your fill of port, 1872 House in Porto is the perfect place to rest your head. It’s perfectly situated at the far end of the energetic Ribeira waterfront overlooking the Douro River, putting everything at your fingertips but without the noise. Each of the eight rooms is unique (mine boasted an original stone wall behind the bed; my friend’s original blue and white Portuguese tiles embedded in the wall). Service is bespoke and, just like Portugal, the perfect blend of old and new. In Lisbon, after feasting on sardines, whether tinned or grilled, consider Browns Central , or any of the company’s three other properties for your base. 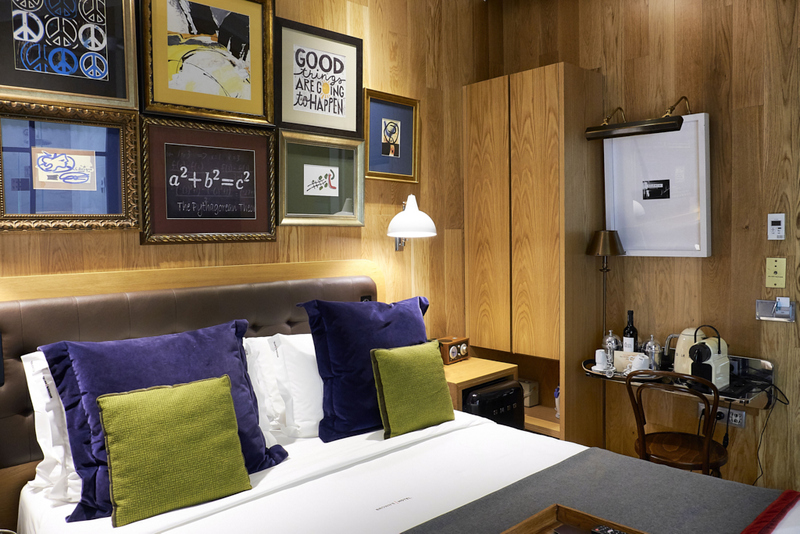 Ideally located in Old Lisbon, each room is different and while not large, ingeniously laid out (think of the efficiency of a ships cabin), creatively decorated, and where every need has been anticipated: Looking for a Smeg Kettle for tea? Prefer a Nespresso machine? Rainfall shower? No problem!. There is also a wonderful“bar and living room” off the lobby with overstuffed chairs and oversized drinks, the perfect place to unwind after filling up on conservas de peixe and walking the many, many (many) hills of Lisbon. Enjoyed your story. 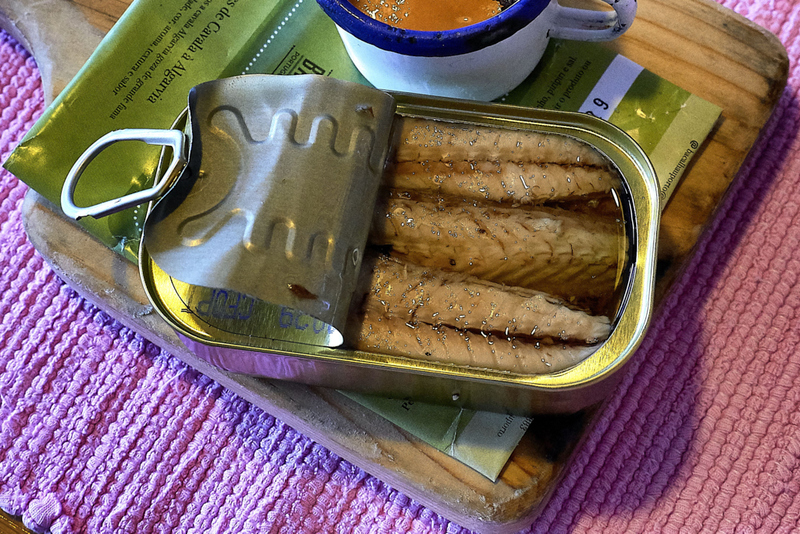 When I was on a press trip to Lisbon and surrounding areas 8 years ago, no mention was made of tinned fish, even though I asked about it. I guess it shows how interests have changed.